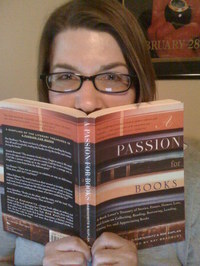 Donalyn has read 123 of 365 books. Donalyn read 399 books of her goal of 365! Donalyn read 446 books of her goal of 365! Donalyn read 425 books of her goal of 365! Donalyn read 389 books of her goal of 365! Donalyn read 369 books of her goal of 365! Donalyn read 619 books of her goal of 601! Donalyn read 613 books of her goal of 500! While educators, families and kids walk into every new school refreshed and hopeful, we are all exhausted and brain-fried by the last month of school. We push more and more things into our “I will get back to this when summer starts” pile. For many of us, our summer piles are stuffed with books we plan to read when we have more time. We’d love your help. Let us know what’s wrong with this preview of The Chickens Are Coming! by Barbara Samuels. We’d love your help. Let us know what’s wrong with this preview of The Good Egg by Jory John. Which Professional Development book should we read in January 2014? have lived more than people who cannot or will not read. A place to discuss books read by the 2011 NCBLA Committee. If you are Mrs. Miller's students, present and past, join our group now! If you are in this book club, then join! As members of the North Star Writing Project, this book group has no fear and will read anything. For people who want to talk about books being made into movies. This is for Gale Lovers! Thanks for friending me Ms. Miller! By the way, I'm in serious need of a good book, any recommendations?